Private and Semi-Private lessons are tailored to meet your swimming goals. 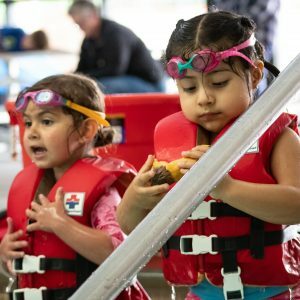 Certified swim instructors are available for all ages and abilities. Lessons can be purchased in packs of 4 or 8 (30-minute lessons). Semi-private lessons are available for groups of 2-3 students of similar level. Lessons are required be used within three months of purchase. Open for full-facility members only. 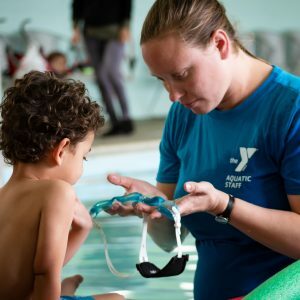 Register for Private Swim Lessons at the Y! Our branch staff will assist you in setting up private lessons. Our Aquatics team will work closely to coordinate our swim lesson times available. We look forward to seeing you soon!